RUSH: Yesterday, folks, I played an audio sound bite from Tennessee Senator Bob Corker, in which Corker complained that the Republicans are becoming a cult. Republican voters are a cult, because he was upset that only Trump Republicans won Republican primaries. Or a vast majority of the winners were Trump Republicans and so-called centrist and moderate, old-fashioned mainstream Republicans didn’t. So Corker was frustrated and started calling Republican voters essentially a cult. I want to go back. Grab audio sound bite No. 3, because this morning on Fox & Friends, the co-host Todd Piro introduced and played a clip of what I played yesterday, which is the real reason I’m doing this ’cause they aired what I said yesterday. And there was some reaction to it, but this is essentially… It made me livid. Here are these swamp dwellers accusing Republican voters of being a cult, and they’re not taking one step, they’re not making any effort to find out who Trump voters are. They’re treating them just like the Democrats in the media do, with contempt, and there are substantive reasons that have nothing to do with a cult for people supporting and voting for Donald Trump. RUSH ARCHIVE: Senator Corker, this isn’t a cult by any stretch of the imagination. Donald Trump does not have a Svengali hold on these people. In fact, Senator, if you want to know the truth, Donald Trump is not the cause of all this. Donald Trump is the beneficiary. Donald Trump had the ability to understand where a majority of Republican voters were and what they were thinking and how fed up they were about certain things, and Donald Trump came along, and he spoke their language. He validated what they were thinking, and he has become their champion, because nobody else in your party stepped up! KILMEADE: I don’t remember many Democrats going against President Obama, and I don’t think it’s necessarily bad to go with President Trump. His ratings now are above where President Obama’s were at this point in his first administration. RUSH: Brian Kilmeade making the point that… In fact, you would be more accurate to say that Obama’s supporters were a cult. I mean, that was clearly an attachment to things that had nothing to do with substance, in many cases. That was an attachment that he was of their class, meaning status. He was an intellectual like them, he was the first African-American. It was identity politics. It was all kinds of stuff that had nothing to do with substance. Trump’s voters are not a cult. But it doesn’t matter because right on cue with Corker out there saying it, guess what? This Dave Weigel, Robert Costa piece in the Washington? This is outrageous. To claim that a Trump voter in Virginia voted for Trump because of a sympathy to white nationalists and Confederate symbols? And then Wolf Blitzer responding to Trump’s tweet says, “We’re not the enemy of the American people. We love the American people.” Wolf, I know you — and, Wolf, you know me — and let me tell you something, Wolf. You may not hate the American people, but you hold average Americans in contempt. You do not think average Americans have the slightest ability to understand what’s important, and therefore you’re not interested in what they think. I don’t think Trump is far off the mark. I had a friend of mine say… When I was out at that recent golf trip I took, a friend of mine made the observation, “Rush, do you realize if every dream that we have, meaning for the country, if every dream came true, we would still have to put up with the mainstream media trying to undo it all.” His point being they are the obstacle. The mainstream media, it’s not media anymore. I have looked for alternative ways to describe what this group of people are. When you call people “media,” it immediately conjures up notions of reporters and people gathering news and then reporting it to people who don’t know it. That’s not what they are. We don’t have any media anymore. The media is a left-wing political action committee and group. And they are firmly aligned with the leftist, radical leftist agenda in this country. They are not media. Trump calls them out as being an enemy, and he’s right. They are an obstacle! Those of us with our particular point of view face a political obstacle in the media. If they were media, they wouldn’t be an obstacle. They’d be reporting what happened. They might have some problems with factual inaccuracy, but that’s not what we’re dealing with. We’re dealing with ideological opponents that are the Democrat Party that are the American left — and they are not media. As such, I’m here to tell you they don’t love the American people. 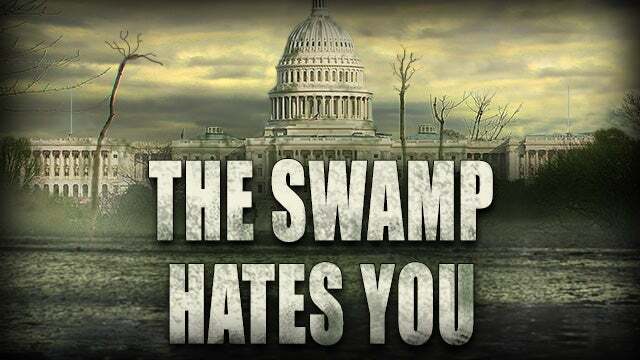 They’re no different than the people inside the Beltway, the swamp, the establishment. They think of themselves as better. They may not… You know, when Wolf Blitzer says, “We’re not the enemy of the American people. We love the American,” in the first place, if you have to say that, if you have to tell people you love ’em, then there might be/must be some question about it. There might be some doubt about it, No. 1. I would never have to tell you people I love you. I would never have to tell you how much I appreciate you. I do anyway, just so there’s no doubt. But this? You… How many Republicans do they like? Let’s count ’em up. How many Republicans do the Drive-By Media like? Who’s…? Give me a name. (interruption) John McCain. Great! Great example. Great example. John McCain. Jeff Flake. Bob Corker. The Republicans that they like and that they’re supposedly fair to — until they are seeking office against Democrats, and then the media turns tail and destroys ’em. The Republicans they like are the Republicans that turn on their own party. Susan Collins. I can go through the list. It is totally definable by which Republicans criticize their own. Those are the Republicans that the media so-called respects and likes, but this idea that the media, CNN loves the American people? They’re working every day knowingly in contempt, holding the American people in contempt. They don’t think the American people know what’s good for them, what’s right. They are not interested. I’ve always said the media doesn’t care about its customers. The media is the one business where customers and their complaints are always wrong, and now this piece. So all it takes is Bob Corker talking about Trump voters as a “cult,” and here comes the Washington Post, “Republicans Embrace the ‘Cult’ of Trump, Ignoring Warning Signs,” and then labeling this Virginia candidate nominated for senate “Trump-like … a history of embracing Confederate symbols and white nationalism.” For God’s sake! How pathetically puerile could these people be? That kind of criticism doesn’t take any kind of brains at all. That’s nothing more than political politics, political gamesmanship. So we have the portrayal of Trump as a very distant person way out there on the fringe with just a few cult-like followers — with the brave and committed Washington Republicans doing their best, working as hard as they can to take back everything from Trump. But, damn it, they can’t because of the cult! Because every time they try, Republican cult voters send ’em packing at the next election. This is irresponsible, it is unprofessional, and it’s so damn transparent that it’s not even effective, other than in making me mad. But that’s not the only… (muttering) Let’s see. “Sen. Tells Fellow Republicans to Stop Whining About Trump Negotiation Style.” This is Senator David Perdue in Georgia, who’s fighting back against this “cult” stuff, and he’s telling people like Corker and the rest of these — whatever they are — to “stop whining about Trump’s negotiation style” and get in on it! In case you people haven’t noticed, the country’s turned around and is doing pretty damn well, for a change — and note the forces aligned against that! Here we have the media, news people hoping that Kim Jong-un embarrasses Trump by launching nuclear missiles? Here we have the media, news reporters defending — along with Nancy Pelosi — the gang MS-13. These people have been forced… These people have been manipulated by Trump into taking positions that are clearly not in the best interests of this country or a majority of its people. Trump is exposing these people and making them make fools of themselves, and then properly calling them out as an enemy. And in a political sense, they are, folks, because they have to be overcome. Not only do Republican candidates have to defeat the opponent, they then gotta defeat the media. Find a way to ensure that the media doesn’t destroy them. The media! The news media! It isn’t the media, and it isn’t news. It’s all just the Democrat Party or the American left. I blanch! I resent every time I hear the term “media” to describe these people. It’s not what they are — and because they call themselves that, then they have automatic protection under the First Amendment. They get to say and do and whatever they want, and nobody can do anything about it, because they claim they are media. They are not media. CNN is not media. CNN is the Democrat Party and a branch office of the radical left in this country — and you do not love the American people, Wolf. Other than the four or five we can name Republicans who criticize other Republicans. Folks, this really does come down to class in so many ways — and by class, I mean, status, not good manners. These people consider themselves elites, and you’re not — and because you’re not, you are never going to be respected. Your opinion, your accomplishments in life are never gonna be respected, because what you do is never gonna be considered important. What they do is what matters. RUSH: Mike in Jacksonville, Florida. Welcome, sir. Great to have you. CALLER: Hey, Rush how you doing. It’s a pleasure talking to you. CALLER: I just wanted to call you and let you know that the American people, we elected Donald Trump as our president, not the low-information voters, a’right? They vote for anybody. But the information voters, they decided they wanted Donald Trump to be our president, okay? We gave eight years of hope and change, and at the end of those eight years, all we got was change in our pockets. RUSH: Wait a minute. See, you’re making my point. This is not… The media doesn’t look at you this way. You’re telling the truth, I know. The media doesn’t… You’re nothing more than a cult. You’re a Svengali! You’re being duped by a piped piper. Trump found a way to get into your brain, and you support him no matter what. Despite their best efforts to tell you the truth about the guy, you still voted for him. They don’t have any respect for you. RUSH: Mike, you’re setting me up again. They didn’t lose. It was stolen from ’em! The Russians and Trump cheated Hillary. CALLER: It wasn’t stolen from them. RUSH: Mike, listen to me: Attitudinally, psychologically, they don’t lose. You did not reject them. You got suckered. That’s how they look at this. That’s why they want to overturn the election because it wasn’t fair. You didn’t really vote your mind. You were tricked, and then they turn around and say, “We love the American people.” They don’t love you. They hold you in contempt with no respect whatsoever. CALLER: And, Rush, and as long as they keep on believing that, the bigger hole they’re gonna dig, and if it keeps on going on, they can forget about 2020. They might as well concentrate on 2024. RUSH: I think that’s true. CALLER: Let me tell you something. Donald Trump has not only began to make America great again, he has made Americans proud to be Americans. You know what I’m talking about? I’m proud. I have 37 years of government service, okay? And I’m proud of my country. I’ve been to a lot of countries when I was in the military, and I don’t care how paradise they are, there is no country better than the United States of America, okay? As far as the national anthem, when I hear it, I have tears in my eyes. I try to stand as correct as possibly as I can. RUSH: Mike, you keep stepping in it. Their interpretation of you… I’m telling you this. If one of these news media types that we’re talking about is listening to this right now and listening to you, they’re shaking their head. “What a dupe. This guy’s been bought purely by propaganda. We’re no better than anybody else in the world, and this is what’s wrong with America. We got people thinking that there’s something special about America, when really we’re a superpower because of what we’ve done to other people. “We haven’t…” This is what they think, and so when you talk about your love for America, you’ve traveled; there’s no place better? They think you’re just closed-minded and stupid and reacting with nothing more than with pure emotion that has no thought involved in it whatsoever. I’m not exaggerating, folks. This is how they see you. This is why it is a class thing. They’re elites, and you’re not. In their world, to travel the world and see that there’s no better place than America is nothing more than xenophobia. You’re shortsighted and you’re prejudiced and you’re biased, and you don’t even have the ability to see how some people and nations around the world are far better than we are. They’re more fair, they’re more open, they’re less racist and so forth. Triple this if you happen to come from the south, when they really resent you. You’re a great caller, Mike. You allowed me to make three points, brilliantly so, in one call, and you were right on the money. I appreciate it. RUSH: Let me move on for one quick moment. John King. I want to go back to this whole idea that Trump voters are a cult. Bob Corker put it out there yesterday. The Drive-By Media has Hoovered that up, sucked that up, and they’re running with it, and they love it. “Trump voters are nothing but a cult!” The subject came up this afternoon on CNN, Inside Politics. John King spoke with the senior writer at the FiveThirtyEight website, Perry Bacon, about me and my comments that calling the Republican Party a cult is lazy. First up is John King’s introducing and playing the audio sound bite of me. 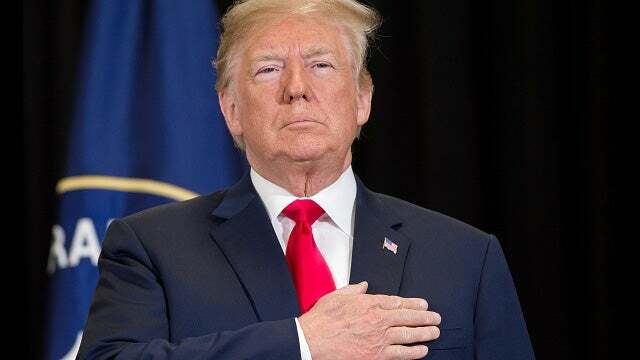 KING: … the vocal group of Republicans who say the party has become a cult of Trump, abandoning its old principles on taxes and spending and others issues. 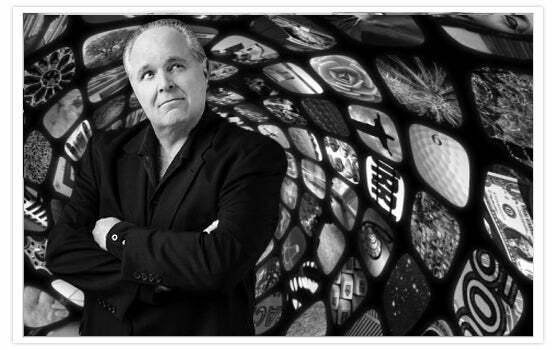 When he hears “cult,” listen to Rush Limbaugh here. He says talk about a cult is lazy and wrong. RUSH ARCHIVE: The idea that this is some kind of a cult is simply a lazy way of dismissing it, a lazy way of not having to explain why your side keeps losing, ’cause you don’t want to get down do the substance that might explain that. That would be painful. So you blame it on a cult, and you claim you don’t understand it. Yeah, so, create the picture that a bunch of Trumpists are waiting for the next Hale-Bopp Comet to come along and hope they get on board. But you’re gonna miss everything going on if that’s the case. BACON: I think there is a shift in the Republican Party that does appear to have started because of Donald Trump and has, I would argue, some cult-like elements. And if you used to think the president’s philandering is terrible but now you think that’s okay, that does suggest you’re flip-flopping a bit in maybe following Trump. And then you look at the norms around Mueller. I don’t think George Bush would have separated children from their parents at the border this way, for example. And I think this — this kind of policy, I’m not sure would have been agreed to in a previous version of the Republican Party. RUSH: Okay, fine. Those are policy disagreements. But to call this “cult-like” as the explanation for it? This is FiveThirtyEight guy is a lamebrain, and he’s not even paying attention. This is my point. They fall back on this, “It’s a cult, it’s a cult,” and they don’t have to honestly assess this. This guy’s got it wrong I can’t tell you how many ways. The reason Trump overcame the Access Hollywood video… Do these people really not understand that? They’re chalking it up to the fact that Trump voters are a cult is why? They determined that Trump winning is too important. It had to happen for their message and their ideas to even have a chance, and they were not gonna abandon Trump on the basis of opposition research presented by the Democrat Party, the opposition. If they drop Trump, it’s gonna be because of something Trump does. But they’re not going to let the enemies of Trump take him out — not anymore — and that’s not a cult. That is a sophistication and an understanding of the American political process today that these guys haven’t yet caught up with.